If you are a Vermont Nursery & Landscape Association member, we compile lists for communications and marketing purposes. We do not rent or sell email addresses or personal information. We do publish our information in a variety of formats, and you have the option to specifically opt-in or decline from having your personal information appearing in these forms. Specifically, we may publish your information in a membership directory and/or annual report, or listed on a public portion of our web site, or on the members only section of our web site. 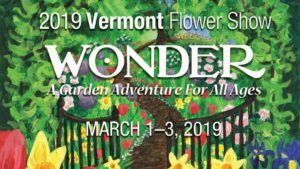 The information on the web site may also be given to Vermont Nursery & Landscape Association members only in another electronic form, such as a spreadsheet or database. 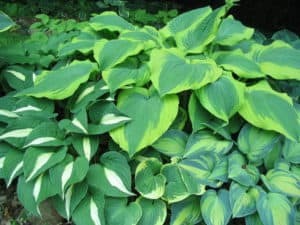 We may also contact you from time to time, either by email, or by postal mail, for either association business, or with Vermont Nursery & Landscape Association affinity partners who we believe provide goods and/or services that might be useful. You may ask us to remove you from any of these lists by contacting us at the Vermont Nursery & Landscape Association office, or by changing your preferences when you sign up or renew your membership. Unless your e-mail requests a response, Vermont Nursery & Landscape Association will not ordinarily retain your e-mail, postal or telephone information (if provided). Once we have responded to your e-mail, we may not discard your contact information unless you advise us otherwise. If you request information or products or if you have a complaint, and we are unable to respond, your request may be forwarded to a Vermont Nursery & Landscape Association member who we believe can adequately respond. Your request would be forwarded along with any e-mail, postal, or telephone information you have provided. We will not forward your request if you ask that we not do so. This policy is available to be sent to any member from the business office, and will also be available for download on the members section of the web site. Any changes to this policy will be announced to all members at a business meeting, or announced in a copy of the Association newsletter. The Vermont Nursery & Landscape Association and it’s web site, www.greenworksvermont.org, is committed to protecting your online privacy while providing you with the most useful and enjoyable Web experience possible. While you can use many features of www.greenworksvermont.org anonymously, you are required to provide personal information to gain access to some of our premium content and services. information. We offer links to other Web sites. Please note: When you click on links to other Web sites, we encourage you to read their privacy policies. Their standards may differ from ours. Our Web site offers message boards and forums. Please be advised that information posted in these venues becomes public knowledge. If our policy on information collection or uses changes, we will advise you by newsletter. features on our site by logging in manually with each visit. These cookies contain no personal data, other than your username and password (encrypted), and cannot be used to gain such information stored in our database, as both the cookie and the database are encrypted. While www.greenworksvermont.org does not provide any third-party access to your personal information, we may provide third parties with aggregate statistics about our traffic patterns and related site information. This data reflects site usage patterns gathered during visits to our Web site each month, but it does not contain behavioral or identifying information about any individual member.